And perhaps our most important discovery, the man who can now be described as the Father of the Free Press in Australia, Andrew Bent, who at around 1.40 pm on 4 June 1824 in Hobart sent his presses rolling without referring the pages to the government censor, thus beginning the fight to establish a free Press. Bent’s [great, great], great, great grandson Craig Collins is here tonight. Craig and another member of the family are working on a biography of Bent. Andrew Bent won the fight for freedom of the Press and soon other papers were being published free of government censorship. But he won it only after being financially ruined by a vindictive colonial administration and becoming the first editor to be jailed for libel. For Andrew Bent, such recognition was a long time coming. With few exceptions, Bent has received only incidental attention in accounts of Australian history. The conventional approach attributes the birth of the free press to William Charles Wentworth and Robert Wardell – both prominent Sydney lawyers and men of capital – with the first publication of the Australian newspaper on 14 October 1824. The earlier battle for the free press, initiated and won by an ex-convict printer down in Hobart Town – which actually paved the way for Wentworth and Wardell – simply dropped off the radar. Even during his own lifetime, Bent struggled for recognition. As his life collapsed around him in the 1840s, and with eager immigrants pouring into the Australian colonies from all directions, only a few old colonists could recall Andrew Bent and his battles decades before. The newcomers saw things upon arrival just as they were, with little sense or recognition for who or what had created them. Having lost his wife Mary in 1846, left destitute with his brothers and children scattered to the four winds, and with his wits failing him, Bent’s last entrepreneurial pitch was for the equivalent of an e-harmony match-making service for unmarried, immigrant women. For this, Bent was roundly mocked by the Sydney press. But for those who remembered him as ‘Little Struggler’, there was lingering admiration for his refusal ever to give up. Even so, this was a sad end for someone who had tried so hard for so very long. Rev John West captured this sentiment in his history of Tasmania, completed in 1852, expressing regret that Bent, ‘an undoubted benefactor of the colony, [was] left to an indigent old age, cut off from the prosperity to which his early labours contributed’. Bent slipped into oblivion at the Sydney Benevolent Asylum on 26 August 1851, just as the ’convict stain’ associated with the early phase of Australian colonisation was being consigned to the same place. The name ‘Van Diemen’s Land’ would be left dead and buried too, with the colony rebranded ‘Tasmania’. The lives, finer details and ancestral continuities of the 164,000 convicts carried out to Australia became blurred as a grand abstraction. This was the start of a new phase of Australian history, lasting for generations – for over a century – and perhaps best described as ‘the great forgetting’. Only in 2018 has Bent begun to receive recognition for his lasting impact, thanks to the interest and efforts of Mike Smith, chair of the advisory panel for the Media Hall of Fame and a former editor of The Age newspaper. Chris Mitchell also contributed with his article, ‘Hall of Fame Honours a Pioneering Crusader for Press Freedom in Australia’ (The Australian, 10 September 2018). The media release announcing the historical inductees noted that the ‘Hall of Fame seeks to demonstrate the importance and public benefit of journalism when the traditional forms of the craft are under threat from digital disruption’. 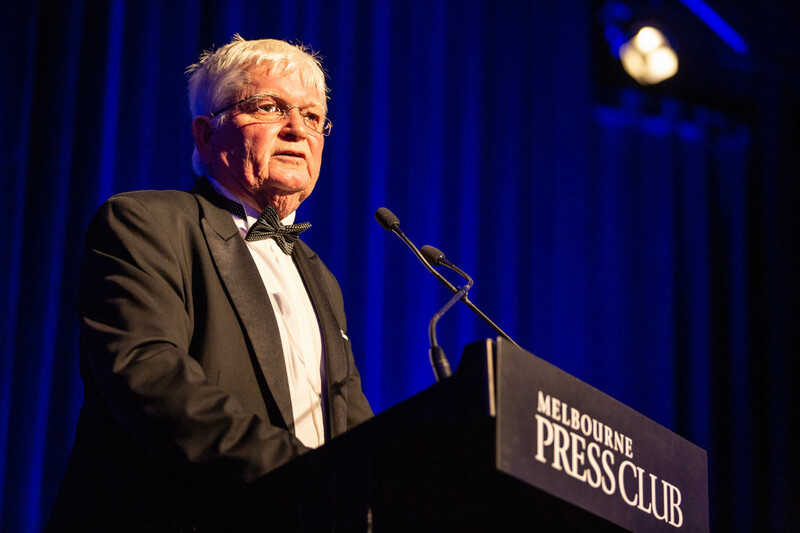 ‘The stories of these remarkable men and women – and their remarkable achievements – show the abiding importance of great journalism for our society and why we should celebrate and defend it,’ Melbourne Press Club CEO Mark Baker said. For Bent, this was a win for the little guy who did something special with his life but who always struggled for recognition. Quite literally, we think Bent was at or below 5 feet tall – described as ‘lame, little and ugly’ with ‘a low Cockney accent’ – and so a most unlikely recipient of such an honour. He was, after all, just a printer – taking on editorial roles from time to time through lack of help or money.